Muslims assert the utter transcendence of God. Divine revelation therefore takes the form of revealed commandments rather than a revealed person. The issue that separates Christians and Muslims is whether or not the claim that Jesus Christ as the decisive revelation of God compromises the utter transcendence of God. Resolving this issue requires an inquiry into the prophetic calling of Jesus. We need to ask whether Jesus ministry went beyond mere proclamation and constituted an adequate, if not decisive, act of divine salvation for humankind. **This post was published as, “Jesus Christ-eschatological [Final] Prophet And Incarnate Savior: A Christian Proposal To Muslims” in Sung Wook Chung ed. 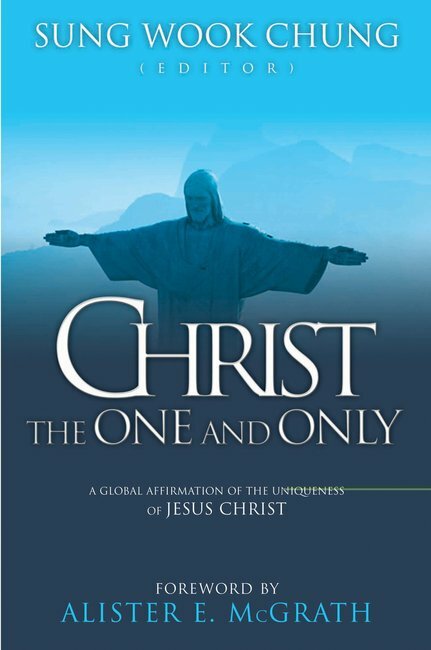 Christ, the One and Only: A Global Affirmation of the Uniqueness of Jesus Christ. Paternoster Press 2005. One of the reasons given by the Islamic authorities in Malaysia to explain why the unrestricted public viewing of the film The Passion of the Christ would not be allowed was because the film depicts images of one of the prophets of Islam. More than that, it was also because “Christianity teaches Christ as crucified and resurrected and that is an offence to Islam.” Evidently, theological concerns are paramount behind the authorities’ censorship policy. This recent event in Malaysia  epitomizes the ongoing debate between Christians and Muslims regarding the status of Jesus. Some Muslims officials attempt to back up their theological veto by providing an array of historical objections to Christianity. For example, it is common for Muslims to reject the Gospels on grounds of historical inaccuracies and textual corruption. Muslims appeal to the Gospel of Barnabas –even though its inauthenticity has been demonstrated long ago in the original publication by Lonsdale and Laura Ragg,/1/ – simply because this Gospel included a prediction of the coming of Muhammad. Other Muslim apologists, not contented with rejecting the crucifixion of Jesus, claim that the historical Jesus escaped to Kashmir after evading execution by the Romans. It appears that theological pre-understanding here pre-empts independent historical investigations. For Muslims, since Muhammad is the final seal of the prophets, Jesus could not have achieved a finished work of salvation. However, Christians will be startled by Muslim teaching that Christ’s return will include judging Christians for their folly. According to Al-Bukhari (Vol.4. Book 43.656), Jesus will descend as a Just Ruler. He will break the cross and kill the pig and bring war to an end. Such Muslim eschatological expectation can only bring a sense of foreboding for the Christians. Despite their high estimate of Jesus, Muslims assert Prophet Muhammad’s superiority: Jesus wandered as an ascetic, but Muhammad brought glory and triumph to God as a ruler-saint and bequeathed us a comprehensive legal system as well as a blueprint for building a perfect political order. Several implications arise from this evaluation: Since Islam is the final and perfect revelation (Surah 5:3, 5), the Gospels cannot be final. The Gospels retain truth to the extent that they are prophecies concerning the coming Muhammad. For Muslims, Jesus is only a prophet, albeit a most honored prophet; he is not the son of God, much less an incarnate God. It is natural for Christians to react to this diminution of Jesus status by avoiding any discussion about Jesus’ prophetic vocation. However, dialog must begin with common ground. Discussion about the prophetic vocation of Jesus can be an opportunity to nudge Muslims to reconsider whether their understanding of Jesus is prematurely truncated. The question raised is, to what extent God is personally involved in the sending of his prophets, especially the prophet [Jesus] who manifests the full embodiment of God’s spirit and who not only proclaims salvation but attests to his message with signs and wonders. Christians should urge Muslims at least to be willing to listen to the self-testimony of Jesus and assess the Bible on its own terms. The Old Testament also looks forward to the coming of an eschatological prophet. This teaching has its origin from the Deuteronomic tradition of Moses found in Deut. 18:15, “The Lord your God will raise up for you a prophet like me [Moses] from among you, from your brethren – him you shall heed.” Moses was a prophet, a proclaimer of the word, a mediator between God and the people (Deut. 5:5) and sometimes a suffering mediator (Deut. 1:37; 4:21, c.f., Num. 12:6-8 and Exod. 33:11). According to the New Testament, Jesus fulfilled these prophecies. The Gospels tell us that Jesus had visions and ecstatic experiences – baptism and transfiguration. His insight and supernatural knowledge is evidenced by his prophecy of his death in Jerusalem and the destruction of Jerusalem by the Roman legions in AD 70. He taught with divine authority, but he also enacted symbolic actions that were characteristic of the Old Testament prophets. After the miraculous feeding of 5000 (Jn. 6:1-15; cf. Mk. 6:30-44; cf. Mt. 14:13-21; Lk. 9:10-17), the crowd declared that “This is indeed the prophet who is to come into the world!” ( Jn. 6:14). They were recalling the miraculous provision of manna in the Exodus event (Ex.16:4-8). At the Feast of Tabernacles, during the ritual pouring of water at the altar, Jesus declared “If any one thirsts, let him come to me and drink. He who believes in me, as the scripture has said, ‘Out of his heart shall flow rivers of living water” (Jn. 7:37-39). The significance of Jesus’ claim was not lost to the crowd, given the traditional belief that the eschatological prophet would repeat the miracle of dispensing water at Horeb (Ex. 17:1-6; Num. 20:2-11). Their verdict was, “This is really the prophet after Moses” (Jn. 7:40, c.f. Mk. 6:4; Deut. 18:15-19). Jesus’ symbolic actions came to a climax when he rode into Jerusalem riding on a donkey. The crowd proclaimed Jesus to be no ordinary prophet but the prophet with a messianic mission, who comes in the name of the Lord (Mt. 21:9). Jesus was the fulfillment of all OT prophecies concerning the eschatological prophet – particularly those in the book of Isaiah – not only in the proclamation of the Jubilee (Luke 4:18-19, c.f. Isa. 61:1-2) but in the his prediction of vicarious death for sinners (Isa. 52-53). Later, the early Church pointed to the resurrection of Jesus as evidence that God vindicated him as the eschatological prophet foretold by Moses (Acts 3:12-26; 7:2-53; cf. Deut. 18:15-19). For first century Jews, the arrival of the kingdom of God should be evidenced by Israel’s return from exile, the defeat of evil (especially Israel’s enemies) and the return of Yahweh to Zion. The Messiah would fulfill these covenant promise of God to ancient Israel. The messianic significance of Jesus becomes clear. To be sure, these messianic claims were accompanied by prophecies that Jesus would be killed by the elders of Israel (Mark 8:31). Jesus saw his prophetic vocation as one that required him to die in Jerusalem, “for surely no prophet can die outside Jerusalem” (Luke 13:33). These prophecies were fulfilled when the Jewish elders colluded with the Roman authorities to put Jesus to death. The Jewish leadership was concerned to kill one they saw guilty of blasphemy in claiming to have the authority to sit at God’s right hand. For the Roman authorities, the occasion provided a convenient reason for taking pre-emptive action against a potential political rebel. In contrast, the early Church saw Christ as the power of God and the wisdom of God. Christ “has become for us wisdom from God – that is, our righteousness, holiness and redemption (1 Cor. 1:24, 30). Indeed, “none of the rulers of the world understood it, for if they had, they would not have crucified the Lord of glory (1 Cor. 2:8). Christians buttress evidence for the historical factuality of the cross by appealing to eyewitness-accounts and reports found in non-Christian historical sources (Josephus, Tacitus). The Christian witness to the crucifixion is plausible since it is inconceivable why Christians should invent the crucifixion which declares that their founder died an accursed death (under divine judgment) on the cross. As such, an outright denial of the crucifixion would tantamount to a willful blindness to historical reality. Muslim critics therefore grudgingly acknowledge that historically a crucifixion did occur. However, they suggest that someone other than Jesus was crucified. They argue that Christians have misunderstood the significance of the cross because they are victims of an illusion. God, they claim, replaced Jesus with someone that bore his likeness. Herein lies an ironic twist in the denial of the cross or the Messiahship of Jesus. For the Jews Jesus could not be a prophet sent by God since he was crucified. The Muslims reverse this logic – if Jesus was a prophet sent by God then he could not be crucified. Muslims appeal to other examples of God’s protection of his prophets such as Abraham and Lot (Surah 21:71), Noah (Surah 21:76-77), Moses (Surah 28:18-28) and lastly Muhammad (Surah 28:18-28). God by definition will protect his prophets. God will not abandon his prophets or allow them to be mistreated by his people. Prophetic mission cannot be prematurely aborted by violent opposition. Hence, there is no place for the crucifixion in the arena of history. Finally, Muslims cannot accept that Jesus accomplished a definitive work of salvation by dying on the cross. Jesus’ mission was merely preparatory in comparison to the work of the final prophet, Muhammad. The Quran asserts in Surah 61: 6 – And remember, Jesus, the son of Mary, said: “Children of Israel! I am the messenger of God (sent) to you, confirming the Law (which came) before me, and giving Glad Tidings of a Messenger to come after me, whose name shall be Ahmad.” Likewise we read, “We sent Jesus the son of Mary, confirming the Torah what had come before him: We sent him the Gospel: in it was guidance and light and confirmation of the Torah that had come before him: a guidance and admonition to those who fear God” (Surah 5:46 cf. Surah 3:3). It is evident that such a theological framework does not allow for the cross to be the locus for the finished work of salvation. In other words, if Jesus himself anticipated a later, ‘seal’ of the prophet, he could not have accomplished salvation and divine reconciliation on the cross. Jesus’ hearers were impressed by his unconventional wisdom. It is reported that he confounded the learned teachers of Israel in debates. Indeed, they were astounded by his authority and profound wisdom. Unlike normal teachers who merely quoted from earlier authorities Jesus pronounced acute and astute judgments on spiritual controversies and acted with uncharacteristic ethical freedom. Such are the hallmarks of a prophet. Like the OT prophets, Jesus confirmed his words with miraculous deeds. He urged the stubborn Jews who had difficulty accepting his words to believe, at least, on the basis of his miraculous works. On the other hand, Jesus’ miracles must be viewed in proper perspective. Miracles would have satisfied both the Jewish and Islamic desire for signs and worldly success. However, the suggestion that Jesus should have resorted to miracles to win over the Jews underestimates the stubbornness of an unbelieving heart. After all, the Pharisees, like Pharaoh of old, rationalized away the miracles, either as works of the prince of devils or the illusions of court magicians. The miracles of Jesus provided some evidences to support to his prophetic claims but they alone could not bring about the moral-spiritual transformation demanded by Jesus. Spiritual transformation or being born again is the result of being brought into a spiritual and living relationship with Jesus. It is precisely such a relationship that the powerful elite rejected; they felt too self-sufficient to require divine empowerment. Instead, Jesus’ teaching secured sympathies mainly from the hard boiled underclass of an oppressed society who knew only too well its moral inadequacies. Admittedly, immediate success through miraculous signs would constitute a tempting strategy to achieve worldly success. Indeed, history shows that some of Jesus’ followers veered from the wisdom of their master when in their missionary enterprise, they sought to attain success in terms of power rallied around the ‘flag and sword’. By doing so, they had ascribed to politics and military might an undue importance in the light of what is truly important in spiritual terms. The Christian may challenge the Muslims to reexamine why the success of prophets should be gauged in terms of immediate worldly success such as securing social power. Is not the sword of Caesar efficacious only for temporal rule? Indeed, such temporal concerns can detract one from a more important encounter with God that leads to spiritual transformation. The sensitive reader should detect here already a fundamental shift in our expectation of prophetic vocation, that is, a vocation that goes beyond bearing a message, it must be one which initiates a new, transforming relationship with God. Jesus exercised a prophetic vocation in continuity with the OT prophets but his ministry evidently burst the bounds of traditional prophetic vocation. The OT prophets were merely messengers but Jesus was the Incarnate Word and Mediator. Herein lies the fundamental difference between the Christian and Muslim estimation of Jesus, and consequently, their different understanding of divine revelation. Karl Barth highlights the distinctiveness of Jesus’ prophetic vocation. For Barth, revelation is testimony to the Lordship of God. That is to say, only through God is God known. “God reveals himself as the Lord” means that he reveals what only he himself can reveal himself./16/ Christ steps into human history, while always remaining Lord and God. He meets us as Immanuel, God with us. The event of revelation is identical with Jesus Christ in all that he was and said and did (CD1.1.127). Barth concluded that Jesus Christ is thus not one who came simply to tell us about God but is himself the divine word and action of God for us. Revelation is God’s self-disclosure and God’s saving action at the same time. Understandably then, Islam becomes a religion that focuses on the law rather than metaphysics. On his part, Cragg argues that the Christian understanding of revelation of the personality of God is more plausible. The Gospels make clear that Jesus was not only bringing a special message. He personified what God reveals. He was not only an ‘emissary’ but the personality in and through whom God is known. Whereas in Islam the Quran is the very ‘text’ of divine truth, the New Testament is the access to the Christ-expression of God. The Scripture has its being by derivation from the prior and primarily reality of ‘the Word made flesh’. How did Jesus translate God’s revelation into saving action of God? He did so by manifesting the truth and glory of God that entails judgment to overcome wrong and establish righteousness, and so bring man his salvation. The category of Royal Man aptly captures how Jesus vocation brings about saving action. First, Jesus’ existence transforms accepted values in his favoring the lowly and in his fellowship with sinners. In fellowship and conformity with this God who is poor in the world the royal man Jesus is also poor, and fulfills this transvaluation of all values, acknowledging those who (without necessarily being better) are in different ways poor as this world counts poverty. Second, Jesus did not consciously seek to replace the existing social orders with new orders which presume to be more just. He preached in the synagogues and accepted the cultus of the temple, the order of the family, the socio-economic orders of his day and even subjection to Roman imperialism. Neither did Jesus align himself with any of the contending parties for power. His actions and attitudes are genuinely revolutionary given the fact that he transcends all party lines and political programs be they conservative or progressive. Indeed, he places all programs and principles under scrutiny. Jesus relativized each of them by the higher demands of the kingdom of God. Jesus’ ‘royal’ freedom brought a sense of crisis to all entrenched social relationships, principles and powers that had hitherto presumed to have unquestioned authority. The manifestation of Jesus’ royal character is always attenuated by his self-humiliation. Still, the clues to his royal character could be seen in the distinctiveness and dignity with which he encountered his fellowmen. For example, Jesus always demanded a decision in response to him, given his unforgettable uniqueness and authority. Indeed, so powerful and lasting was his presence that the early church’s witnesses were compelled to assert that the same presence was effectively working among them after his death and resurrection. As one who demands to be followed, Jesus simultaneously gives others the freedom to do so. This characterization represents one high point in the Muslim perception of Jesus. But Cragg observes that although Islam provides Jesus with an eschatological dimension, the final worth remains assigned to Muhammad. After all, Muhammad acted with the historical realism which is perceived to be wanting in Jesus. The tension involved in juxtaposing the two founders of faith is evident, “If Islamic traditions need to anticipate a Christ-style future, Jesus needed to anticipate a Muhammad-style future, the one in eternal the other in temporal terms. The Gospel may have it right in the ultimate; the Quran has it right in the concrete.” Nevertheless, notwithstanding the high estimation accorded to Jesus, he remains subordinate to Muhammad. The Christian response would be to insist that to judge the mission of Jesus to be a failure is to ignore the eschatological consummation waiting to be fulfilled in Jesus’ second coming. Indeed, to use a language that echoes Muslim Jihad, Jesus is prosecuting the war of the Lamb to bring about final victory or consummation for the kingdom of God. Thus we read Barth’s paraphrase of Revelation 11:15, “the kingdoms of this world are become the kingdoms of our Lord and of his Christ” immediately undialectically, incontrovertibly, irresistibly . . . . Then he will be not only the Reconciler, then he will be the Redeemer, the Saviour of the world (Titus 2:13).”/26/ Christian eschatology looks forward, not merely to a better future but also to a future which in its perfection includes and surpasses absolutely all the matters of history. The appropriate posture from the Christian perspective is to hope while waiting for God’s sovereign timing. We recall that when the disciples asked the resurrected Jesus when he would restore the kingdom of Israel, Jesus replied, “It is not for you to know the times or dates the Father has set by his own authority” (Acts 1:7). But Muslims reject the Christian eschatological hope with their insistence that such a projection is premised on the questionable claim that God was in Christ. This rejection is further reinforced by the theological objection to the crucifixion on grounds that there is no need for atonement. If human beings are born good and innocent (fitra), if sin is only forgetfulness and not rebellion, then what is needed is not atonement but education. Obviously, conflicting theological anthropologies have to be resolved here. But at this juncture our question is how does the revelation of Jesus Christ answer the human predicament? If indeed sin is rebellion how can God provide reconciliation without compromising his holiness? If revelation is proof of divine compassion how then is Christ the focal point of divine compassion? The Christian view is that precisely because God is the loving and holy Creator, he is not free to be indifferent to rebellion within creation. What kind of a God is he who chooses to remain indifferent while evil men continue to flout his law and oppress the weak and righteous? God could have opted to command and coerce obedience at a distance or through angelic intermediaries. However, he chooses to remedy the fault from within creation himself. Such concerns form the basis of Cragg’s searching question, “Can God remain sovereign apart from redemption?”/27/ The Incarnation of Christ and his atoning work on the cross indicate that because God is sovereign he is prepared to condescend himself and bear the price of reconciling rebellious human beings to himself. It is precisely at this point that the most fundamental difference between Islam and Christianity becomes evident. One cannot evade the uncompromising insistence of Islam that there can be no association with God. God does not forgive the association of a partner with Himself: a lesser sin than that He forgives to whom He wills (Surah 4:48, 116). To be sure, the Quranic insistence was a forceful rejection of polytheism common among Arabs at that time which included teaching that God had wives (Surah 72:3), sons (Surah 2:116; 6:100-101; 10:68; 17:111; 18:4; 19:91-92; 21:26; 25:2) and daughters (Surah 6:100; 16:57; 17:40; 37:149-153; 43:19; 53:27). It was all too easy within the context for Muhammad to misunderstand the designation ‘son of God’. For example, Surah 4:171 and Surah 5 rejects the Trinity on grounds that it amounts to tri-theism. Undoubtedly, Muslims protest that acceptance of the incarnation would tantamount to an apotheosis of a man. To acknowledge the deity of Christ is seen as committing the sin of shirk (sin of association). To this, Cragg deftly points out that similar but unacknowledged logical moves are involved even for the Muslims understanding of the revelation of divine will. It is undeniable that linking eternal attributes to anything other than God poses an immediate logical problem. In other words, if Christian revelation is challenged to answer the charge of an apotheosis of man, by the same token, the charge of an apotheosis of language confronts the alternative Islamic understanding of revelation. God may transcend the boundaries of human language and religious experience. But surely, asked Cragg, his transcendence cannot negate our human God-talk and human religious activities like prayer and worship. Indeed, such admission is a pre-requisite to any possible appreciation of Jesus as the focal point where divine expectation and human response meet. To be sure, the Christian must remain sensitive to the Muslim’s misgivings that in the teaching of the Incarnation of God in Christ, the unity and sovereignty of God were compromised nevertheless. Cragg, on his part, expresses reservation at the propriety of translating the word shirk into the English word ‘association’. This, he considers as misleading. With his considerable competence in Arabic, he argues that the actual restriction is a “plural” worship, the alienating of what alone is divine to what is not, as idolatry in all its forms. Muslims rightly reject any attempt to ascribe ultimacy to anything outside of God. The Christian shares this insistence but goes further by insisting that such negation should be redemptive. In this regard, God’s sovereignty should include his ability to enact the drama of redemption within the flux of history. Otherwise God would remain in splendid isolation and irrelevant to humankind. “In the past God spoke to our forefathers through the prophets at many times and in many ways, but in these last days he has spoken to us by his Son, whom he has appointed heir of all things, and through whom he made the universe. The Son is the radiance of God’s glory and the exact representation of his being, sustaining all things by his powerful word” (Hebrews 1:1-3). As Jesus is the eschatological (final) prophet and incarnate savior, there is no need to look for another prophet after him. 1. Lonsdale and Laura Ragg (tr. ), The Gospel of Barnabas, (Oxford: Clarendon Press 1907). 2. David Shenk and Badru Kateregga, Islam and Christianity: A Muslim and a Christian in Dialogue (Eerdmans 1981), pp. 34-38. 3. Muhammad ’Ata ur-Rahim, Jesus, Prophet of Islam (Omar Brothers 1978), p. 223. 5. Hadith Al-Bukhari, MSA-USC Hadith Database. Internet edition found in (http://www.usc.edu/dept/MSA/reference/searchhadith.html). A handy one volume collection of the hadiths can be found in the Summarized Sahih Al-Bukhari, tr. Muhammad Muhsin Khan (Darussalam Pub. 1996). 6. J. Lindblom, Prophecy in Ancient Israel (Fortress 1962), p. 46. 7. Reginald Fuller, Foundations of New Testament Christology (Charles Scribner’s Sons 1965), p. 109. 8. Edward Schillebeecks, Interim Report on the Book Jesus and Christ (SCM 1980), pp. 65-66. 10. N. T. Wright, Jesus and the Victory of God (SPCK 1996), pp. 477, 517. 13. For discussion on the view of , see Chawkat Moucarry, Faith to Faith (IVP 2001), pp. 134-137. 14. David Brown, The Cross of the Messiah (SPCK 1969), p. 31, quoted in Colin Chapman, Cross and Crescent (IVP 1995), p. 198. 15. Ismail Faruqi, Islam and Other Faiths (Islamic Foundation 1998), p. 120. 16. Karl Barth, Church Dogmatics (hereafter CD), ed. G. W. Bromiley and T. F. Torrance, T &T Clark 1936-1969), 1.1.353. 17. H.R. Mackintosh, Types of Modern Theology (Nisbet 1937), p. 281. 18. Kenneth Cragg, Call of the Minaret (OUP 1964), pp. 47-48. See also his discussion in Jesus and the Muslim (George Allen &Unwin 1985) and The Christ and the Faiths (SPCK 1986). 21. See Kenneth Cragg, Jesus and the Muslim, pp, 51, 52. 25. Cragg, Call of the Minaret, p. 100. 26. Barth, Credo (Hodder &Stoughton 1936), p. 122. 27. Cragg, Call of the Minaret, p. 312. 28. Cragg, Jesus and the Muslim, p. 200. 29. Cragg, Call of the Minaret, p. 290. 30. Cragg, Jesus and the Muslim p.204.